If you’re looking for a luxurious stay at the heart of New York City at good-value prices, Skyline Hotel is perfect for you. Centrally located in the Hell’s Kitchen neighbourhood on the West Side of Midtown Manhattan, this charming hotel comes with 232 spacious guestrooms and suites that blend modern amenities with classic style, providing you a tranquil oasis amid the hustle and bustle of NYC. 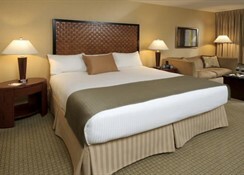 Each of the guest rooms features world-class facilities to meet guest needs. The hotel is an ideal stay option for families, couples and business travellers, offering a host of amenities that include heated indoor pool, fully equipped fitness centre, complimentary Wi-Fi, on-site parking, concierge service and business centre. It’s also a great choice for hosting meetings or social events, and you can choose between two ballrooms that afford amazing Manhattan skyline views. For a memorable dining experience, get a taste of authentic Tex-Mex cuisine or enjoy cocktails at El Original TXMX restaurant, which conjures up the flavour and feel of old Mexico. Skyline Hotel enjoys a convenient location bang right in the iconic Hell’s Kitchen neighbourhood in New York, making it in easy access to Broadway theatres, Central Park, Jacob Javits Convention Center, Lincoln Center, Madison Square Garden and the famous Hell’s Kitchen Flea Market. The 50th Street Subway Station is close to the hotel, while the Times Square and the Theatre District are just a 15-minute walk away. The nearest airport is LaGuardia Airport, around 10 km from the property. 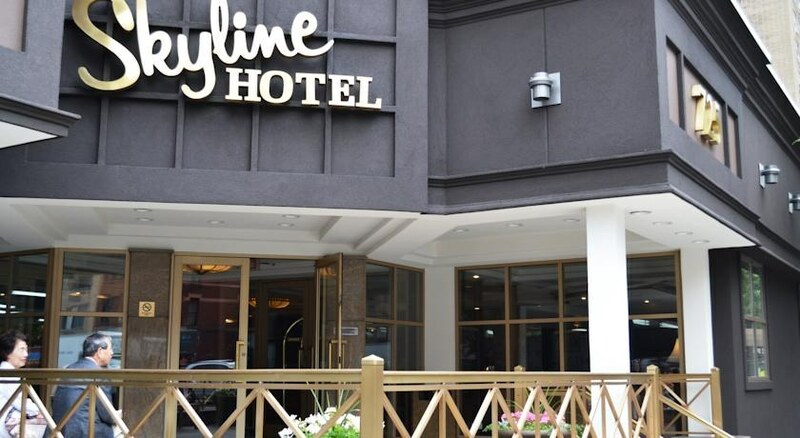 There are 220 rooms and 12 suites on offer at Skyline Hotel, all of which feature a host of modern amenities that blends perfectly with the classic decor and quiet ambiance. Categorised into Twin Room, Superior Room, Deluxe King Room, Executive King Room, Deluxe Queen Room and Family Suite, the guestrooms come with air conditioning, plush bedding, mini refrigerators, flat-screen televisions with cable channels, wireless internet, work desk and chair, safe and en-suite bathroom. 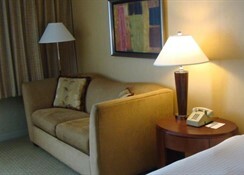 The Family Suites include separate sitting areas with pull-out sofas. The dining scene at Skyline Hotel comprises of El Original TXMX restaurant, located in the lobby. It serves authentic Tex-Mex cuisine, which can be enjoyed both indoors and alfresco. With lively ambiance and friendly service, the restaurant offers a Sunday brunch and Happy Hours from Monday to Friday. The hotel also offers in-room food delivery. Skyline Hotel offers a range of amenities to ensure you have a fun-filled stay. The heated indoor pool features the best view of the New York City skyline. It comes with pool towels, a lounge area, and men’s and women’s locker rooms with showers. For health enthusiasts, the fully equipped fitness centre is the perfect place to work out. The hotel also offers complimentary Wi-Fi in public areas and concierge service to help you with sightseeing agenda or book Broadway tickets. The business centre is equipped with internet-equipped workstations and printer for business travellers. 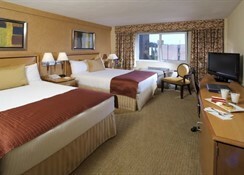 The central location of the hotel also allows guests to explore the area and visit the major NYC attractions.